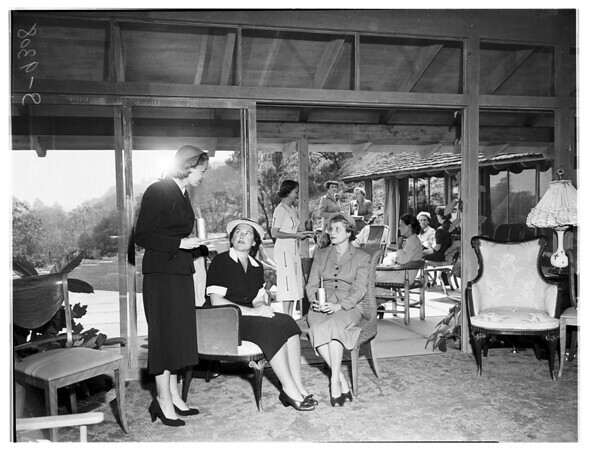 Supplementary material reads: :Photo assignment for Wednesday, Sept. 5 at 12:30 p.m. Pls go to 13241 Riviera Ranch Road (out Sunset, past Mandeville Canyon about 1 street on right), home of Mrs. Leonard Rogers, get shots of provisionals of Spastic Children's League of Los Angeles. Candid, three and five cols. Contacts Thursday. Thanks, Carter Ludlow".